Helps Ministries (“Helps”) was founded in 1976 as Helps International Ministries, Inc. by Rev. David P. DeJong and his wife, Esther, as a unique ministry that could assist and work alongside of other missions and ministries in fulfilling the Great Commission – spreading the Gospel of Jesus Christ to the world. Prior to founding Helps, DeJong served as a missionary builder with Africa Evangelical Fellowship for 17 years. While serving in Africa, DeJong would often receive requests for construction help from other missions and missionaries, but he was not free to work on projects for other missions. 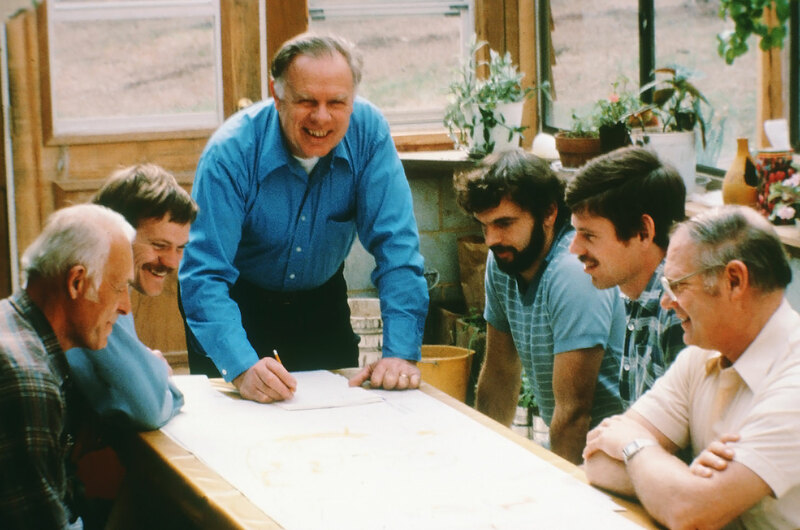 When he returned to the States in the early 1970s, he acted on his vision for a mission that would provide essential technical ‘helps’ to evangelical missions and ministries. Helps International Ministries was incorporated in Asheville, North Carolina on April 14, 1976. Initially, Helps offered a construction ministry, and then added architectural design services. The headquarters was relocated to Harlem, Georgia in 1982, and other technical ministries were added to the Helps family of services – including a transportation ministry, accounting ministry, and computer ministry. In the 1990s, the home office was moved back to Asheville, North Carolina, and the organization continued to expand and adapt its services in order to meet growing ministry demands. While the face of our ministry and many of our service programs have changed since our founding, our mission – partnering with the global Church to build ministries, serve field workers, and defend the vulnerable for God’s kingdom purposes worldwide – remains true to our original vision. Our scope of ministry continues to grow and flourish both here in the United States and abroad.